Easter eggs and interesting details, that’s just so typical Rockstar Games, right? 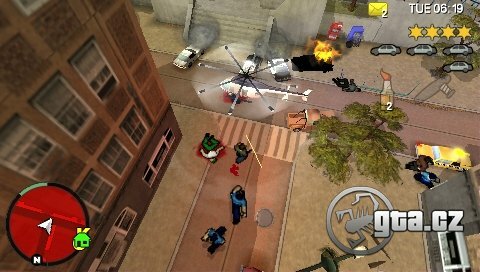 Grand Theft Auto: Chinatown Wars is no different and comes with plenty of interesting things that you may be surprised to find. While cruising the city and trying to find Alderney, I’ve noticed the “Here Be Dragons!” inscription at the top left corner of the map. I guess this text could be remarking on medieval voyagers. El Burro is one of the most peculiar characters ever. Try to follow me: he was killed in GTA I (1997), Claude finished several missions for him in GTA III (2001) and voila – suddenly he’s a Bohan drug dealer in Chinatown Wars (2009). This time he looks much younger, though. Maybe I’m thinking a bit too conspiratorially, but one of the drug dealers is called Mike, just like the GTA Advance’s (GTA Nintento GBA conversion) main character. 4) Alex Shrub - Ex-senator becoming a spammer? I’ve received an e-mail from Alex Shrub. He was a Vice City senator in 1986. Have you found an Easter egg or interesting thing but don’t see it below? Just send it (preferably along with a screenshot) to czech.gta@gmail.com and it will show up here. Please type "Interesting Stuff" into the subject. TY.